Miso Glazed Chicken is a staple in my house. Its flavors are roughly based on one of my favorite restaurant dishes, Peking Duck. 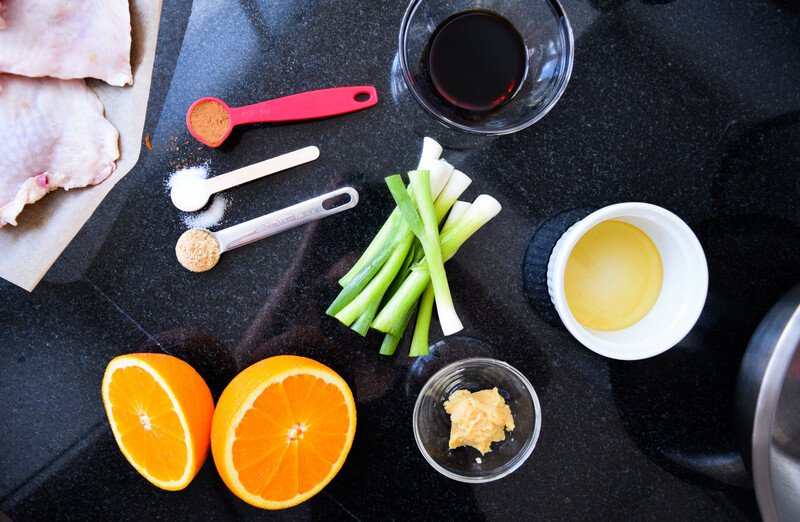 Orange, ginger, Chinese five spice and soy sauce make a marinade that is the perfect balance of sweet and salty. 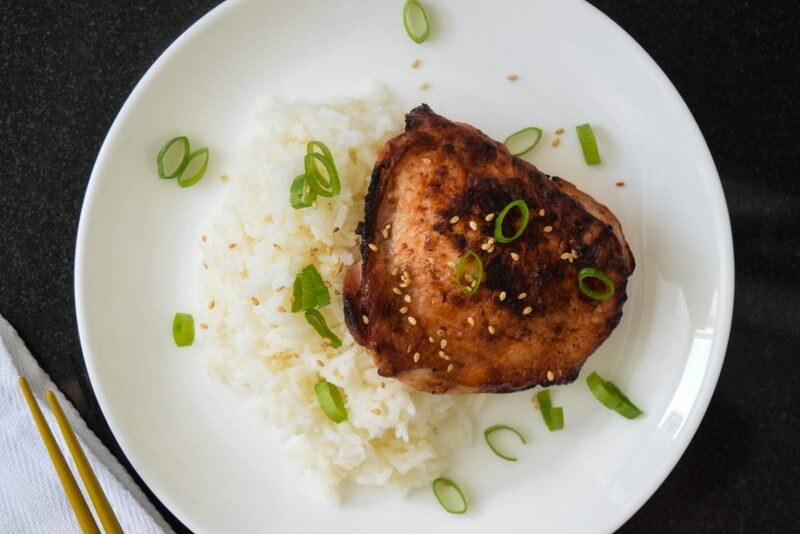 Serve the chicken with steamed vegetables or rice for a weeknight dinner that is tasty and almost too easy! Measure out all the ingredients but feel free to improvise. If you like your chicken with a little more spice, add an extra pinch of ginger. Like it sweet? Try an additional tablespoon of honey. 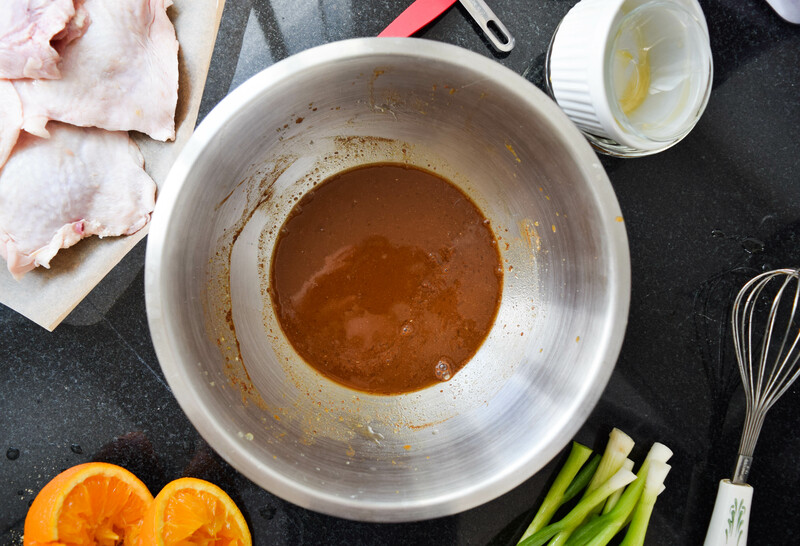 In a large bowl, whisk together the orange juice, honey, miso paste, soy sauce, Chinese five spice, ginger and salt. Place the chicken in a shallow dish and cover with marinade. Add the scallion stalks on top for a light onion flavor. 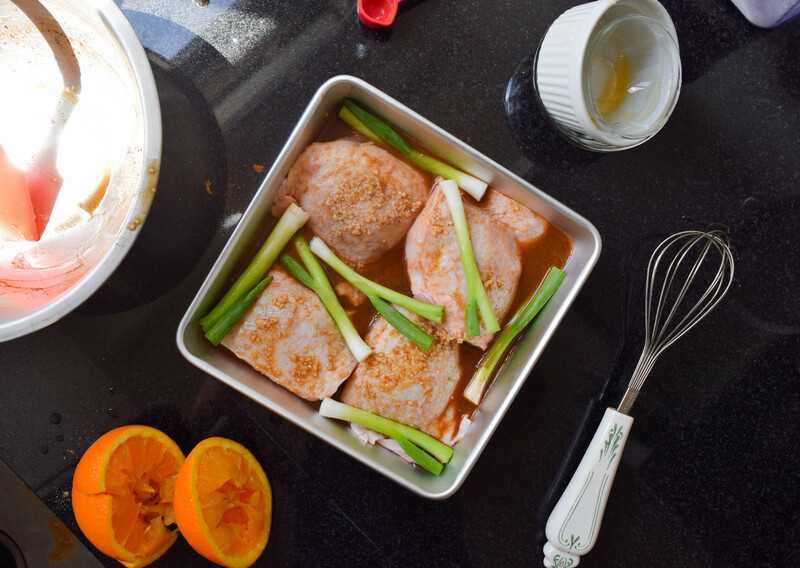 Let the chicken marinate for 4 hours or overnight in the refrigerator. Once the chicken has soaked in the marinade, place onto a wire rack that is set on top of a cookie tray lined with aluminum foil, this will catch any marinade drippings. When you are ready to cook, preheat the oven to 425°F. 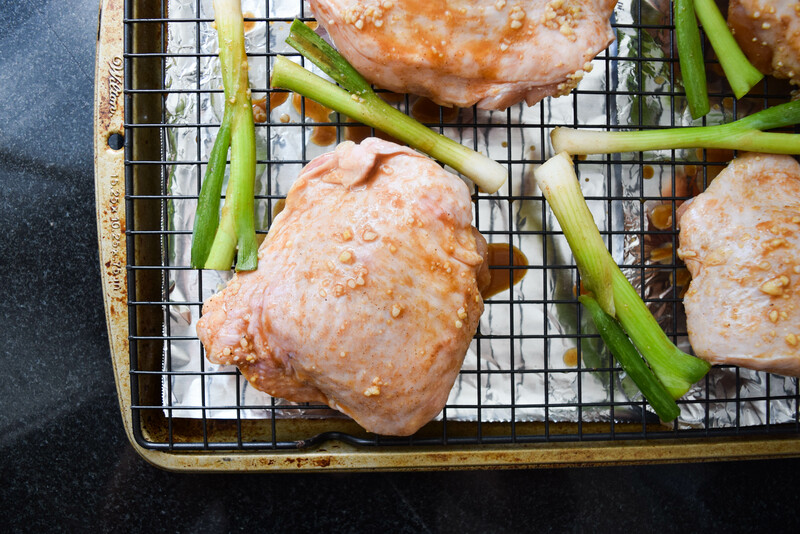 Place the chicken in the preheated oven and roast for 30 – 40 minutes. 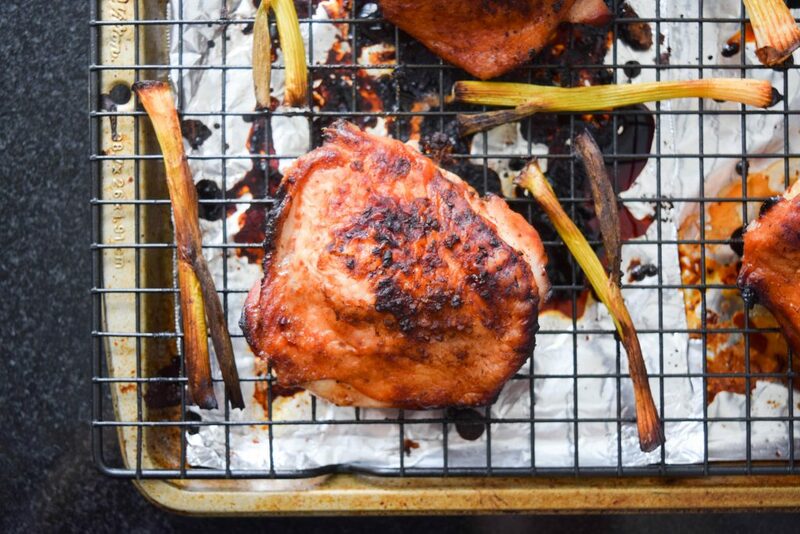 The chicken is ready when it has an internal temperature of 165°F and the skin is dark amber. Enjoy immediately!